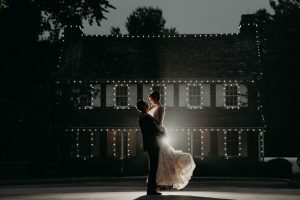 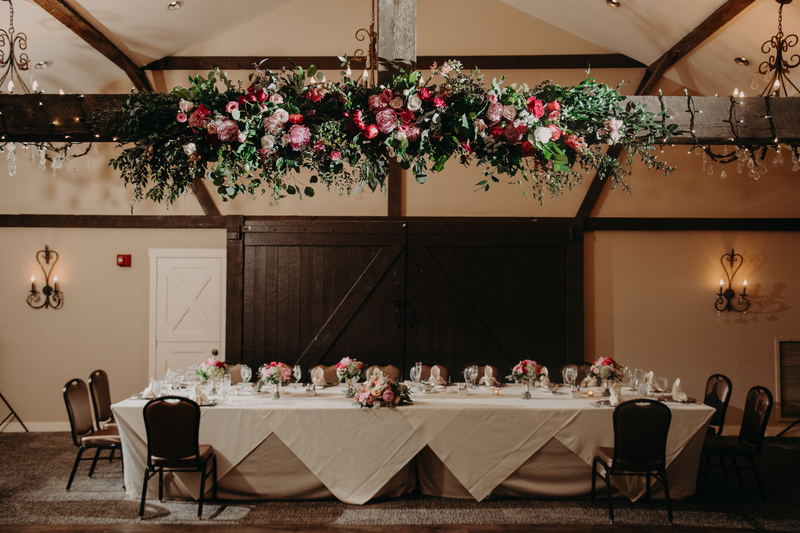 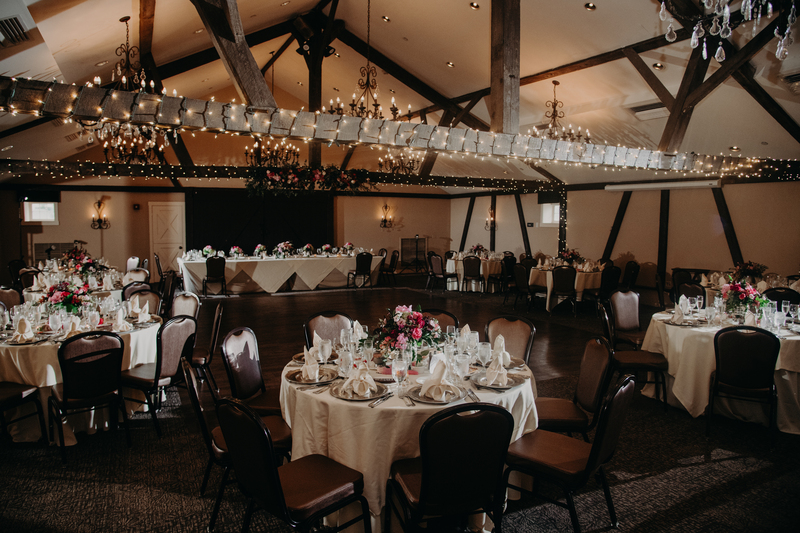 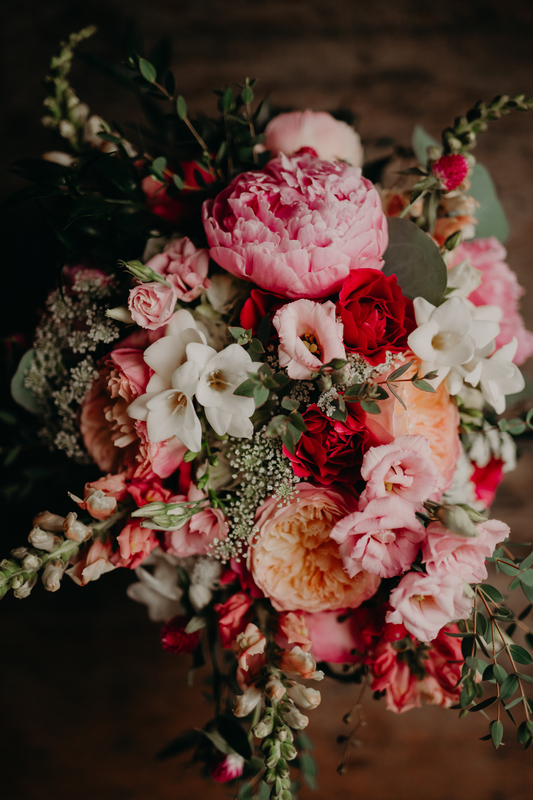 With her wedding at Normandy Farm located in Blue Bell, Pennsylvania, Elizabeth’s love of flowers shown throughout her wedding day. Her organic garden style with flowy blooms and lush greenery stood out from the natural surroundings and touched every aspect of her and Brian’s wedding day. 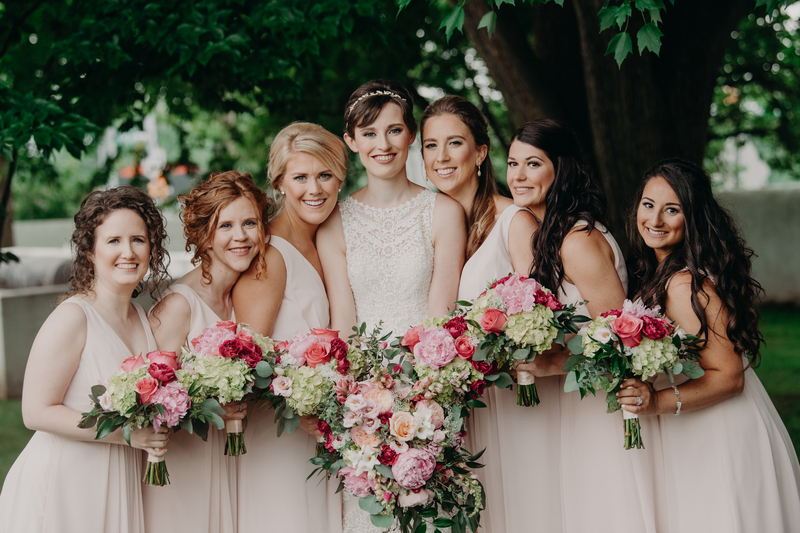 Her bouquet featured blush and peach garden roses with white freesia dotted throughout. Her soft color pallet was accented with bright pops of hot pink peonies & lime green hydrangeas which were used as accents for the stunning outdoor trellis and airy garden centerpieces for the Silos Ballroom. 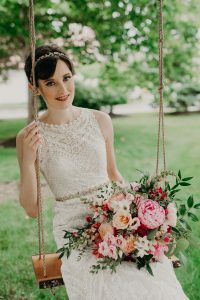 Her bouquet featured blush and peach garden roses with white freesia dotted throughout. 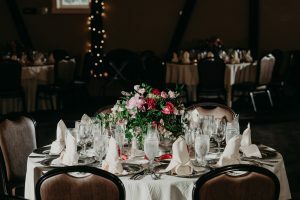 Her soft color pallet was accented with bright pops of hot pink peonies & lime green hydrangeas which were used as accents for the ceremony decor as well as the airy garden centerpieces for the Silos Ballroom.